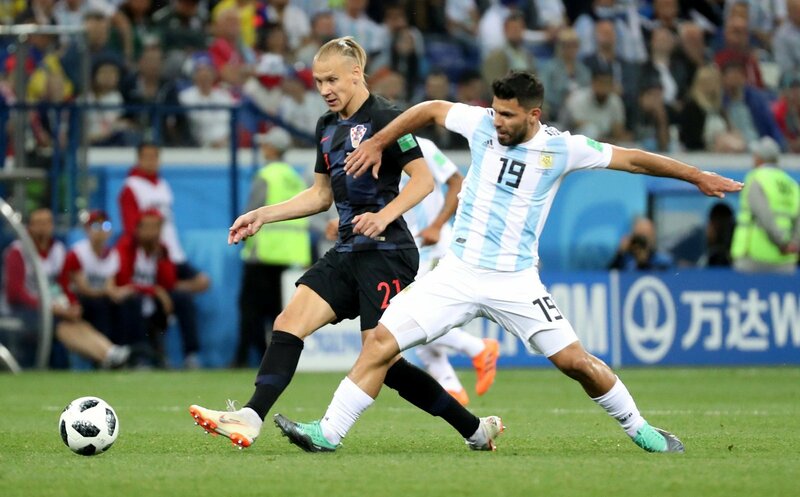 According to Turkish media outlet Sabah on June 23, Leicester City have launched a €12m (£10.5m) offer for Besiktas centre-back Domagoj Vida, and their Premier League rivals Wolverhampton Wanderers should be keeping a close eye on developments. Well, Sabah report that the 29-year-old, who is currently starring alongside Dejan Lovren for Croatia at the 2018 World Cup, looks set to leave the Turkish giants this summer despite only signing for them during the January transfer window. Sabah report that the Foxes have launched a bid for the no-nonsense defender as they look to beat the likes of Everton, West Ham United and Fulham to his signature. If Vida did arrive at the King Power Stadium he would likely go straight into the starting XI alongside Harry Maguire at the heart of the backline, which would raise major question marks over the future of someone like captain Wes Morgan. Why should Wolves be monitoring the situation? Well, it seems as though manager Nuno Espirito Santo is keen to bring a new centre-half to Molineux before the window slams shut on August 9 despite already completing a permanent deal for Boly, and the latest name the Portuguese boss has been linked with is Lazio’s Wallace. However, the west Midlands outfit, whose fans have reacted to a link with a 19-year-old starlet with one saying he “ripped Kyle Walker apart”, should forget about him and move for Morgan instead if the 34-year-old is available, which seems likely given he lost his place in the starting XI towards the end of the 2017/18 campaign and has just 12 months remaining on his contract with the Foxes. The Jamaica international would bring some real strength and experience to the Wolves defence – which could be vital for them on their return to the Premier League – and the fact that he has won the Premier League means he could pass on his knowledge to his new teammates.